The Poet Research Papers look at one of Ralph Waldo Emerson' essays and examines his views of nature and his useage of symbolic language. Ralph Waldo Emerson's essay "The Poet" is an examination of the nature and functions of the poet in society. For Emerson, the poet is likened to a man of beauty, and the examination of his work includes the materials he uses to create his art. The following discussion includes Emerson's views on the representative nature of the poet, a poet's credentials, a poet's relation to the universe, symbolic language, and the function of poetic genius and imagination. This examination of "The Poet" will demonstrate that Emerson uses a variety of poetic techniques to describe the ideal of the poet and his creative ability to connect man with nature and bring beauty into the world. Emerson begins the essay with two verses from two of his own poems that describe the poet in classical terms. That is, the first verse alludes to Apollo's privilege, while the second verse begins with Olympian bards. After setting the mood with the poetic ideals expressed in these verses, Emerson distinguishes various types of thinkers, including intellectual men and theologians, as having a shallow sense of beauty, compared to multi-leveled thinkers such as Orpheus, Empedocles, Heraclitus, Plato, Plutarch, Dante, Swedenborg, and masters of sculpture, picture and poetry. 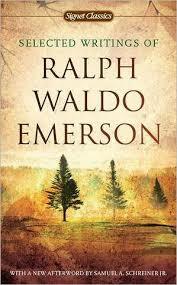 Emerson's essay distinguishes the poet from other men in several respects. First, the poet is representative in that he is a complete man among partial men. Furthermore, the poet differs from others because he is concerned with the common wealth more than personal wealth. Emerson claimed that the poet is further separated from others by the two primary factors: truth and art, and the poet's pursuit to bring these ideals together in order to draw men closer to beauty. Emerson also noted that all men require some form of expression, and therefore man is only half himself, with the other being his expression. Paper Masters writes custom research papers on The Poet and look at one of Ralph Waldo Emerson' essays and examines his views of nature and his useage of symbolic language.